We are being out-spent 4 to 1.If we don't make up the gap, we will lose this election. We had a tough problem to solve. We had the support of a massive network of grassroots supporters giving between $5 and $50 when asked, but that wasnâ€™t enough. 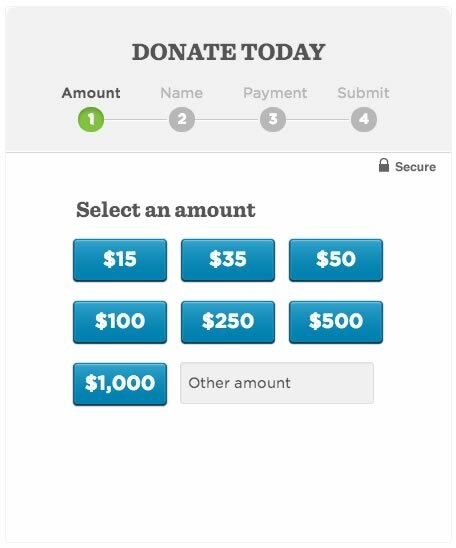 We needed to make online donations easier, faster and more accessible. We needed to take more risks. We had starting information in the form of best practices and early-stage testing to validate our hypothesis but we had to decide whether we could run larger changes and estimate gains/losses based on this data. We didnâ€™t have time to continue testing every little change. We had to be smarter and faster — we had to couple changes together and read the data in a more comprehensive way. 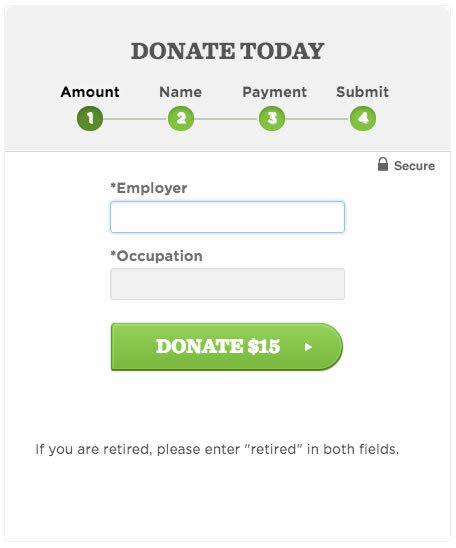 The standard web-form had not been drastically changed in years. People have tried modifying basic inputs and styles but the results have either been impossible to use or a step-back visually. We needed to figure out a way to improve it and reduce the barrier of entry for all users. This was a unique challenge because our target audience could vary from a young supporter that works on computers for a living to a 48 year-old mother of two that is a partner at a law firm. Being able to build a single experience that can both excite any type of user & allow them to easily fill out the form is not an easy thing to accomplish. We did, however, have a great advantage: an un-ending audience to run a/b tests on and a fresh flow of volunteers for user research. So, we started taking larger, smarter risks. 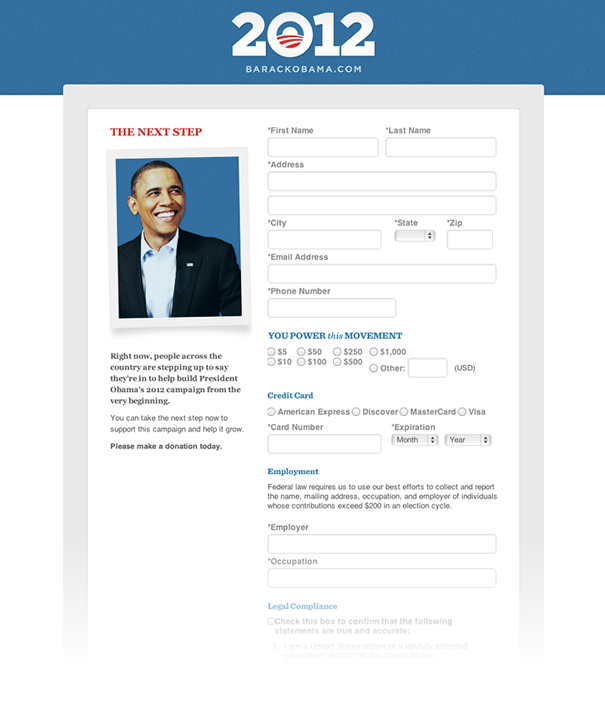 How hard is it to fill out the entire form? Are labels clear enough to avoid errors? 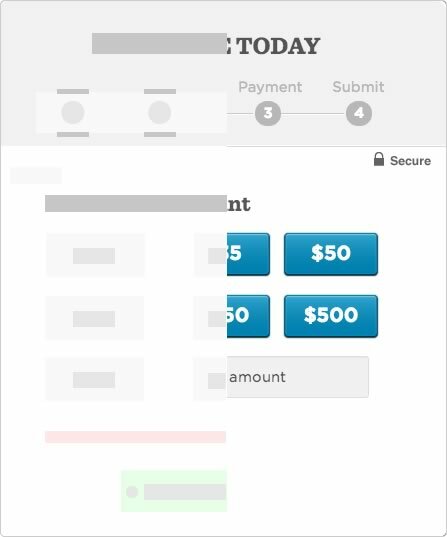 Does the form take the least amount of effort possible to fill out? How tough is the task if the user doesnâ€™t have their credit card in from of them? Is the task of filling out this form terrible? How can we make it enjoyable for a user to get through each section? After a user donates, how can we reward them so the process is more satisfying? How can we show the impact they are making in this election? On our end, how can we speed up our pages? We have a high barrier of entry for donations already, so we need the page load to be as quick as possible. On the usersâ€™ end, how can we speed up the process? Since we canâ€™t remove any fields, how can make the user perceive the entire process to be significantly faster? Kyle Rush, the deputy director of development, wrote out a great post detailing all of our changes when we moved from BlueState Digital to our new internal donation platform. In a very broad description, it was based on a REST API on EC2 with Jekyll rendering static HTML behind Akamai. If youâ€™re interested in the details behind this, you should definitely give it a read. 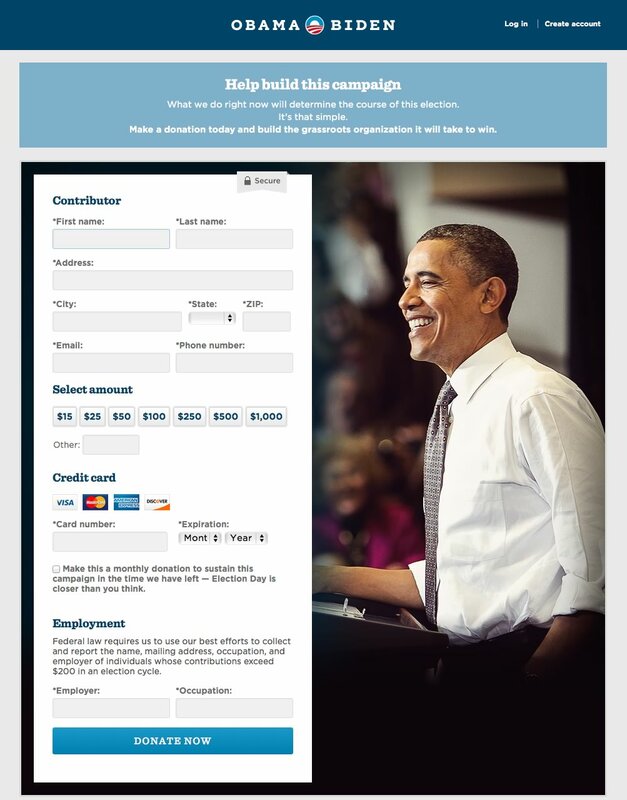 I have also gathered all of the other articles written about OFA tech/design/dev, etc on my blog here. 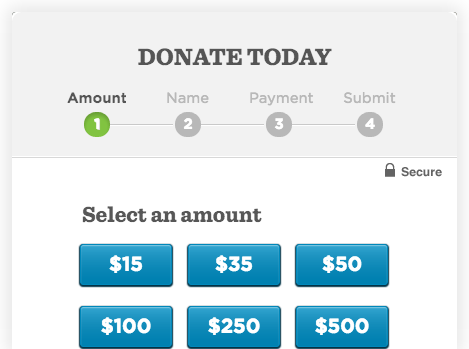 These changes drastically improved paint times for our donation pages. Originally, it would take over 4 seconds to start rendering HTML on our pages. After the change, it took under 1 second. Along with these changes behind the scenes, we implemented some over-all improvements to the long form including a complete re-design from Ryan Roche. He implemented a massive set of changes to include the design & readability of the overall form, and to improve the eye-scan pattern of the page. 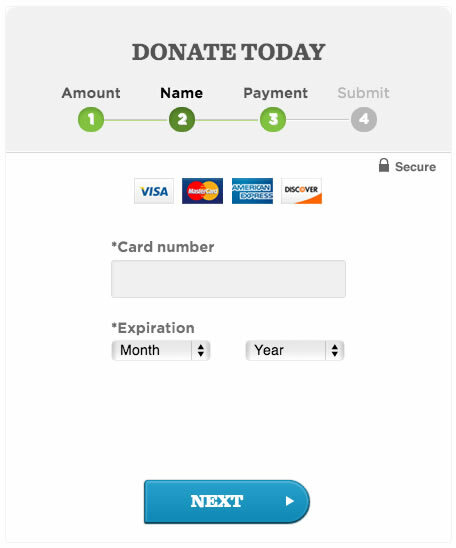 He included a brand new set of Amount buttons that improved conversions and increased average donation amounts. Kyle came up with the idea of completely changing the form. We knew we had to make some drastic changes, and this one was definitely one that Ryan and I were excited about. By breaking the form up, we knew we would be able to tackle some brand new UI & UX problems and get some really valuable data back from our tests. Ryan and I spent a tremendous amount of time working together during this stage of the campaign. We knew how important fundraising was so we put all of our efforts into this for months. We began iterating over various concepts that we all referred to as "sequential." We settled on splitting the form into 3-5 steps and built versions for each of these. I started exploring various CSS3 transitions in order to create some interest between each step. We also experimented with simple sliding transitions to full 3D Transforms that rotated the entire module. We began seeing some consistent and exceptionally promising results from our A/B tests. We knew we were headed in the right direction so instead of experimenting with things like transforms and transitions, we began optimising the form itself to improve the speed at which a user could complete it. We also introduced in-line input validation so users would immediately see errors in their information. Originally, a user would need to complete the entire form and hit submit before they were notified of an issue. This, obviously, was not efficient and left room for improvement. So we improved it. The in-line validation reduced server errors by over 70%. The success of sequential was great news, but it did not mean the end of our testing. By early September, Sequential had been adopted as the default donate page and the tests were rolling out daily to improve it and get to the next level of innovation. We increased donation conversions by 49%, sign up conversions by 161% and we were able to apply our findings to other areas and products. *This panel has errors disabled. Please don't enter your credit card info. Seriously. 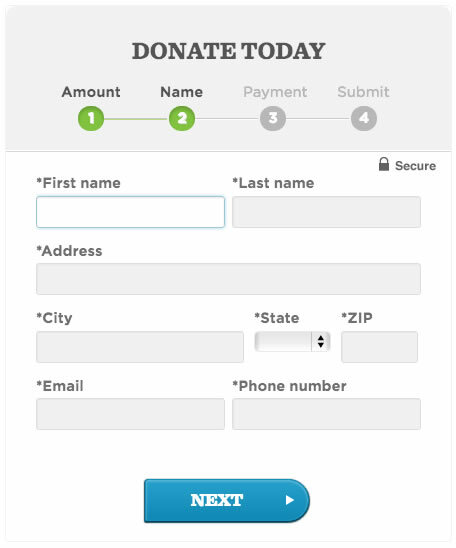 Thanks for your fake donationSubmit Please fill out all of the fields. On mobile, the Sequential collapses to the standard full list of inputs. Here is a set of screenshots illustrating the progression through Sequential Donate on screens larger than 700 pixels wide. "Turns out you can get more users to the top of the mountain if you show them a gradual incline instead of a steep slope."